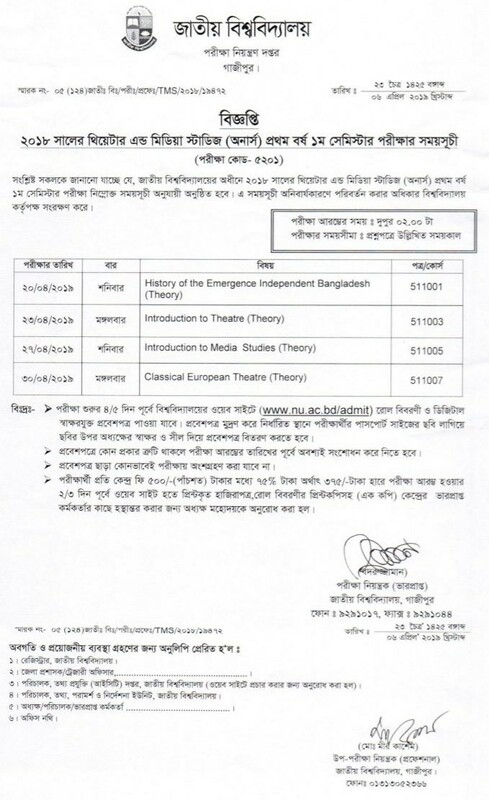 Theater and Media Studies 1st year 1st Semester Routine 2019 for the Session of 2018 Under the National University of Bangladesh. the examination held in April 2019. Examination Start on 20th April 2019 and Continued on 30th April 2019. Theater and Media Studies 2nd year 3rd Semester Students can download routine from here. Examination Deadline: 30th April 2019.